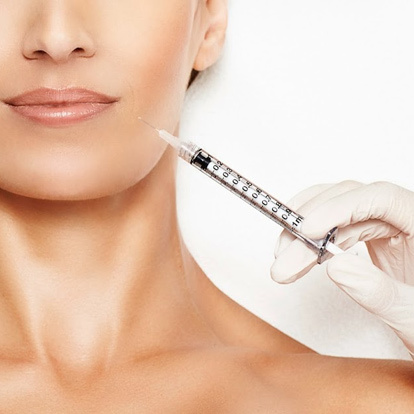 Bruising of the treated area from Botox and dermal fillers is one of the biggest concerns people have before receiving aesthetic injectable treatments. The following are steps we take and suggestions for you to follow to keep any bruising to a minimum. The numbing creams we use can help constrict blood vessels, which reduces your chances of bruising. We also apply an ice pack right after your treatment to help constrict blood vessels, decreasing the likelihood of bruising and swelling. We will advise you to apply ice packs on and off for up to eight hours after treatment. We offer The Regenica Recovery Gel which helps to quickly heal the skin and greatly reduce inflammation and SinEcch, which is a unique, high strength dosage of homeopathic Arnica. SinEcch is a pharmaceutical derived from the Arnica montana plant. When prepared as a homeopathic medicine, Arnica is safe to take orally and is regulated by te FDA as an over-the-counter medication. Avoid taking supplements with blood thinning effects. Some supplements that have blood thinning effects include fish oil, garlic, ginger, ginkgo biloba, ginseng, green tea, and vitamin E. These should be discontinued seven days prior to getting fillers. These may increase bleeding especially if you’re taking blood-thinning medications such as Coumadin (warfarin) or non-steroidal anti-inflammatory drugs (NSAIDs). Avoid non-essential blood thinning medications. A number of medications make your blood less likely to clot. These include aspirin, Advil (ibuprofen) and Aleve (naproxen). These should be discontinued seven days before and one day following your appointment. If you need to take a pain medication we suggest Tylenol (acetaminophen). If you are taking prescription blood thinners such as Coumadin or Plavix it is not recommended to discontinue them due to their medical necessity. However you should be aware of the increased risk of bruising if you are taking them. • Don’t drink alcohol 24 hours prior to your treatment. Alcohol has anti-platelet effects and increases your chances of bruising. • Discontinue exercise for 24 to 48 hours after treatment. Physical activity increases your heart rate, blood pressure and blood flow. Minimal blood flow allows damaged capillaries to repair faster. • If the lips were treated do not put pressure on them with a straw, water bottle nozzle, etc. for one week. • Should bruising still occur it may be covered with makeup although no makeup can cover bruising, redness and swelling completely. Therefore plan accordingly prior to your treatment and afterwards. An important part of getting cosmetic injections is timing. Try to make your appointments at least two weeks prior to a big event just in case you have swelling or bruising.